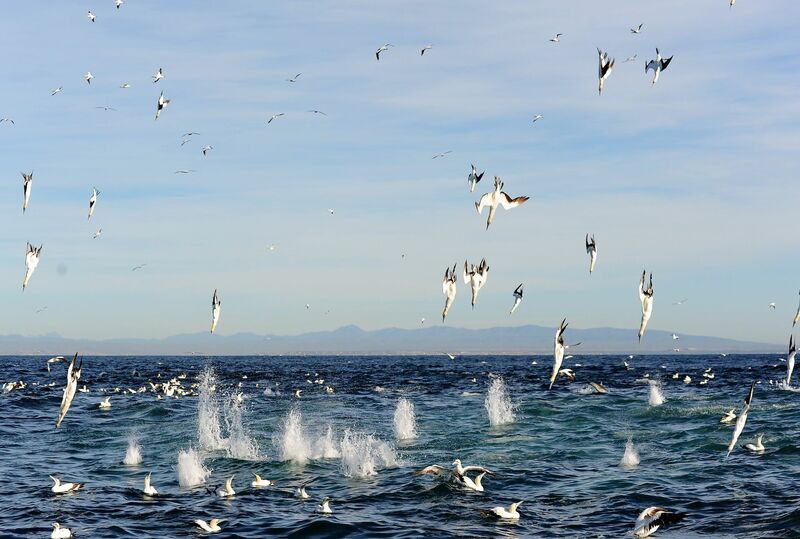 The Sardine Run is a unique and unforgettable experience, every year during April and May, vast shoals of sardines make their way past Algoa Bay up the east coast of South Africa chased by every marine predator imaginable. 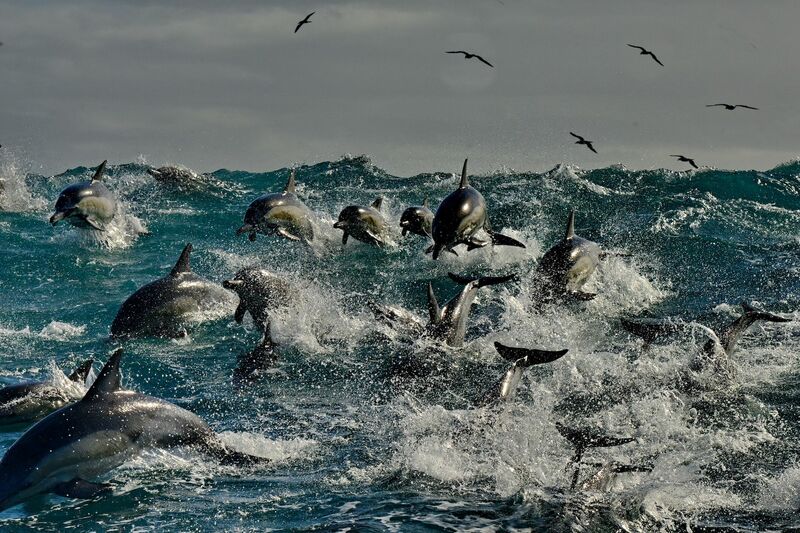 Thousands of common dolphins race to school up the sardines into a tightly packed bait ball at the surface of the water. 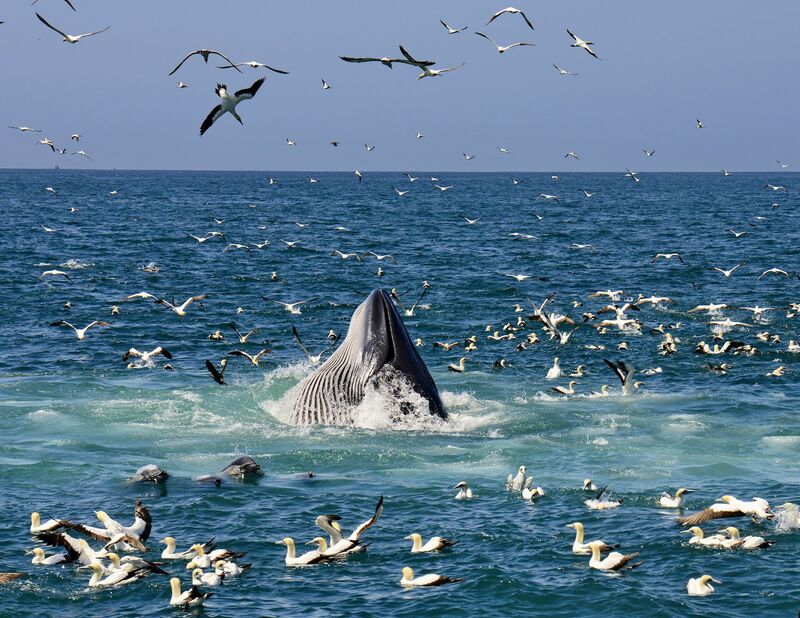 Cape Gannets then shower down on these Sardines from above while the common dolphins, brydes whales and several shark species are seen feeding from below. You get to experience this thrilling phenomenon topside from one of our two Safety Authority certified motorised catamarans. We only offer topside viewing as we find that it allows the photographers to stick with the action and therefore not miss out on any great sightings. The BBC have used Raggy Charters for filming the sardine run multiple times and recommend us for our excellent knowledge of the area and its marine life. Read more about the sardine run. Raggy Charters has put together a 'Surf and Turf' package with Alan Tours for 2019. 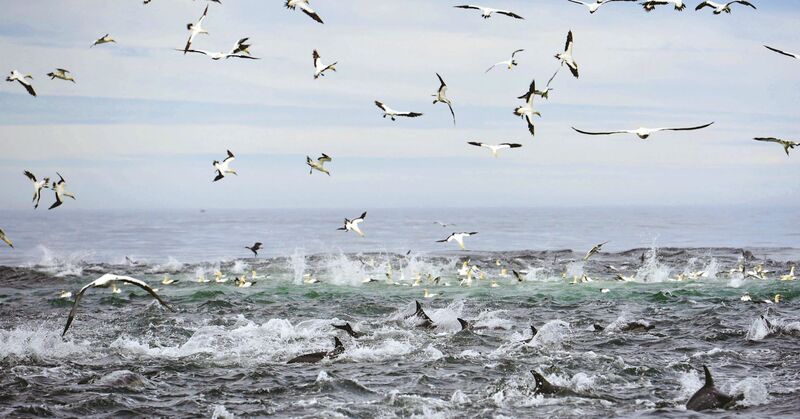 We are offering offer a 5 Night Sardine Run and Big 5 package where we will spend 2 days at sea following the whales, dolphins, penguins, seals, sharks and other birds which are chasing these huge shoals of fish. 2 days will then be spent on land at various game reserves searching for the Big 5 (lion, rhino, elephant, buffalo, and leopard), as well as numerous game species and birdlife. Morning at Cape Recife Nature Reserve (lighthouse tour and bird watching) and afternoon at a private game reserve for a 'tooth and claw' afternoon game drive. 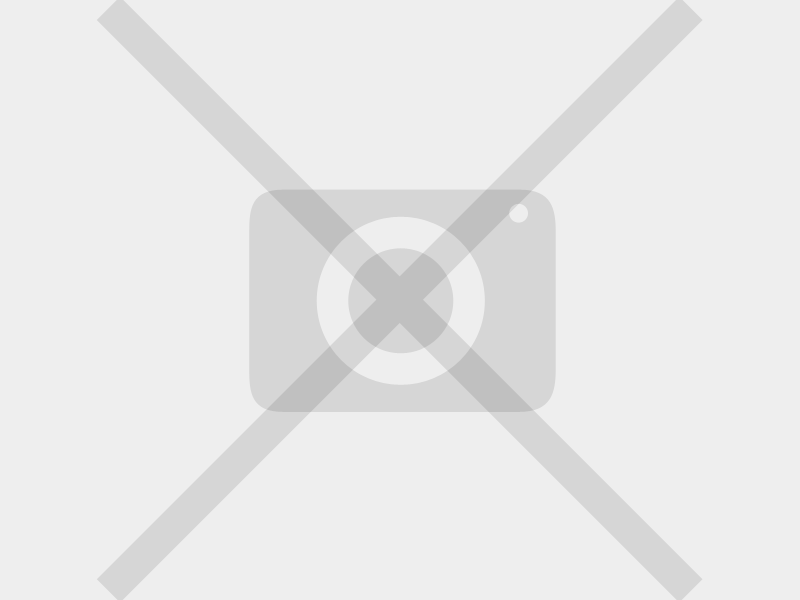 1 game reserve experience Waar naar toe? Sea days and land days may be swapped around depending on the weather to ensure all activities are fitted in! If you wish to dive/snorkel with the sardine run we recommend our friends over at Pro Dive, who are the only other reputable company in Algoa Bay which offer sardine run cruises.